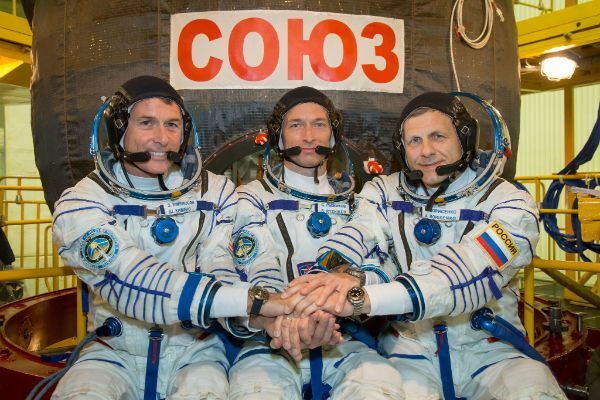 The next crew headed to the International Space Station returned to the Baikonur Cosmodrome on Friday after their launch date was firmed up for October 19 following a four-week launch delay caused by technical issues on their Soyuz MS-02 spacecraft. 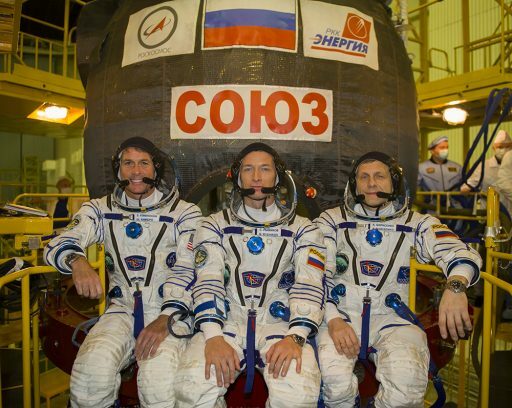 Commander Sergei Rhyzhikov and Flight Engineers Andrei Borisenko and NASA’s Shane Kimbrough had entered their final two weeks of training and preparations at the storied spaceport back in September when the Soyuz MS-02 mission was working toward a Sept. 23 launch target. 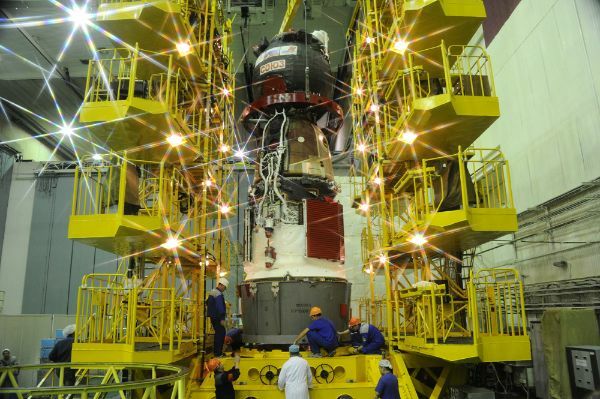 However, one week prior to liftoff, a potentially serious issue was found on the Soyuz in the form of an electrical short discovered in the last comprehensive test of the spacecraft. The launch was subsequently delayed and the crew sent back to Moscow to use the facilities of the Gagarin Cosmonaut Training Center for continued flight preparations while waiting for engineers to locate the issue. It took nearly a week for the short circuit to be traced back to a landing system cable within the Entry Module of the Soyuz spacecraft that had burned out after being bent excessively. Replacement of the cable was a straightforward task, though systems re-testing required some time to ensure no electrical systems were harmed when the cable shorted. On Thursday, the Russian State Commission conducted a review of tests performed on the Soyuz and cleared the mission to re-start a nominal preparations timeline with the prime and backup crews flying in from Moscow on Friday. 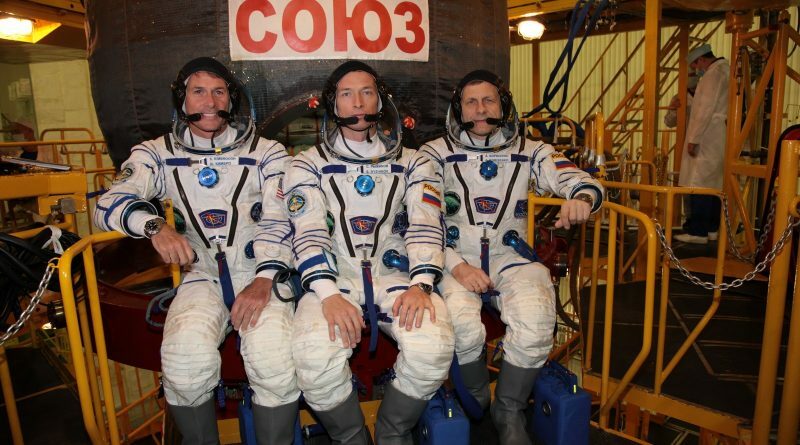 On Saturday, the crew members put on their Sokol Launch and Entry Suits and returned to their spacecraft to complete a suited ingress – climbing through the side hatch of the Orbital Module and down into the Entry Module through the internal Soyuz hatch. Taking their seats, the three crew members went through a launch simulation to put themselves and their spacecraft to the test. 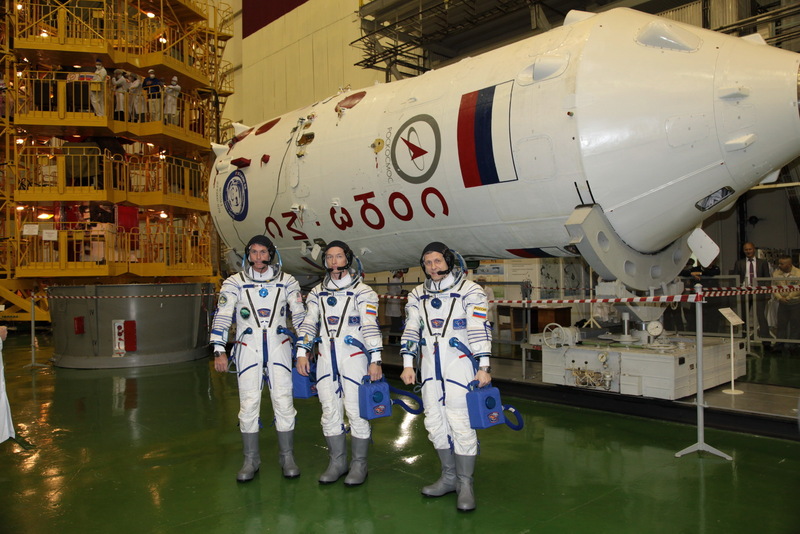 Over the coming days, the crew members will complete regular tilt table sessions to prepare for microgravity, familiarize themselves with the cargo situation on the Soyuz and participate in meetings with recovery forces stationed along the Soyuz ascent path to be available in the unlikely event of a launch abort. They will also conduct conferences with the current ISS crew to get started on handover operations because the combined crew will only have nine days to hand ISS and its various systems over to the Expedition 49/50 crew members. Typical handover conversations crews have are concerned with the stowage location of important equipment, the intricacies of some of the Station’s systems, and science experiments that are handed from one crew member to the next. Coming up for the Soyuz spacecraft that remained fully-fueled for the repairs will be the attachment to its Payload Adapter followed by rolling the spacecraft to a horizontal position to re-install the protective launch shroud. The crew will visit the spacecraft again when it is loaded with cargo to inspect the situation on board and perform a last checkout. 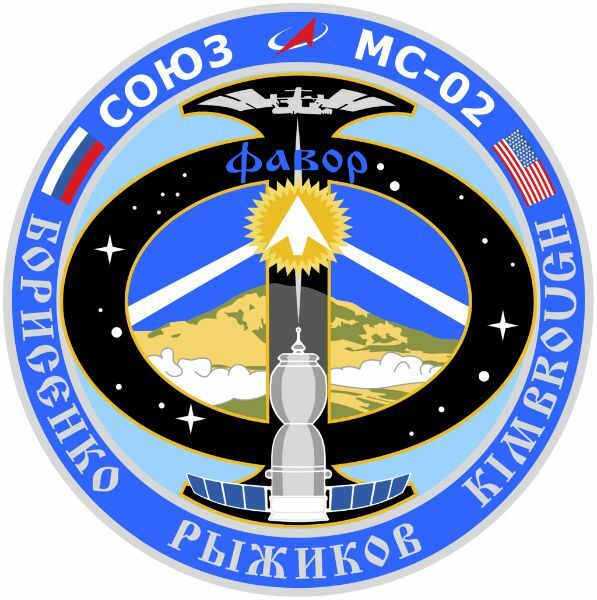 Soyuz will then depart the Site 254 processing facility and head for the MIK Launcher Integration Facility where the Soyuz FG rocket is waiting for the spacecraft to finish the integration process ahead of rollout to the launch pad. Soyuz MS-02 is targeting liftoff at 8:05 UTC on October 19 though the exact launch time may change by a few minutes depending on the orbit of the Space Station. 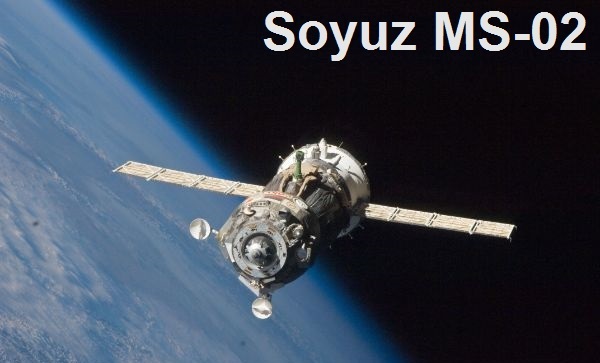 The mission, only the second of the modified Soyuz MS spacecraft, will stick to the two-day rendezvous architecture to permit additional tests of the new MS systems in an operational environment. Docking is expected around 9:59 UTC on October 21. 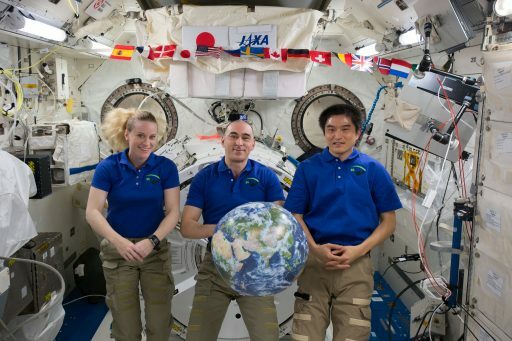 With the schedule firmed up for Soyuz MS-02, the resident ISS crew of Anatoli Ivanishin, Kate Rubins and Takuya Onishi can keep their original landing date of October 30, closing out a mission of 115 days as part of Expedition 48/49. Following the launch of Soyuz MS-02, crews in Baikonur will head straight back into launch campaign operations with MS-03 sticking with its November 15 launch target and same-day-rendezvous to bring Oleg Novitskiy, Thomas Pesquet and Peggy Whitson to ISS. Progress MS-04, the next Russian cargo mission to ISS, is looking forward to launch on December 1st.